About Kathleen LaBella RDN, CDN, CSSD, ACE-CMES/CPT | Peak Performance: A realistic approach to nutrition. For individuals, I provide nutrition and fitness education working at your pace for what fits into your life and schedule by making small realistic changes to reach your goals. I look at the whole picture of your life and coach you in ways to improve your body, health, lifestyle, mind, and well-being. With having counseled over 2,000 private clients, I enjoy each unique experience everyone brings to me. For groups and performers, I provide specialty niches for musicians, performance athletes, and corporate travelers. I’m available in person at the office, or via telehealth video conferencing, or via phone. Lectures and groups available upon request. I live the active healthy lifestyle I teach. It is my goal to help people obtain optimum energy, performance, a healthy weight, well-being, and to achieve success! You have played a huge role in my happiness and well-being Kathleen, this Thanksgiving I reflected on my struggles this past year. As I looked in my bathroom mirror, I couldn’t help to smile back at myself and giggle. You have played a huge role in my happiness and well-being. You have introduced me to a new lifestyle of healthier eating and a greater well-being. I feel wonderful, have more energy, more strength, and have lost almost 40 pounds. With you on my side, cancer’s clearly brought a knife to my gun fight. I am thankful for you. Diana E.
I am a registered dietitian nutritionist, a board-certified specialist in sports dietetics, certified medical exercise specialist, weight loss expert, and owner of Peak Performance, LLC located in Old Saybrook, Connecticut where I provide nutrition and fitness counseling with over 24 years of experience. I believe in a realistic and non-judgmental approach to counseling using a combination of integrative functional nutrition (food as medicine), education for lifestyle behavior change, and natural approaches based on science for individuals who require improved energy, enhanced sports performance, nutrition for musicians, weight control, prevention or maintenance of obesity-related diseases (cholesterol, heart disease), and wellness. I have worked on both the collegiate level including consulting for Smith College athletic department in Northampton, Massachusetts, as well as developing individual exercise and nutrition programs for a variety of clientele including professional athletes and musicians. I have consulted in fitness centers, wellness centers, private retreats, hospitals, schools, and rehabilitation centers throughout New England to develop specific nutrition programs for all ages, and I have written and provided lectures relating to sports nutrition, and nutrition-related diseases and prevention. 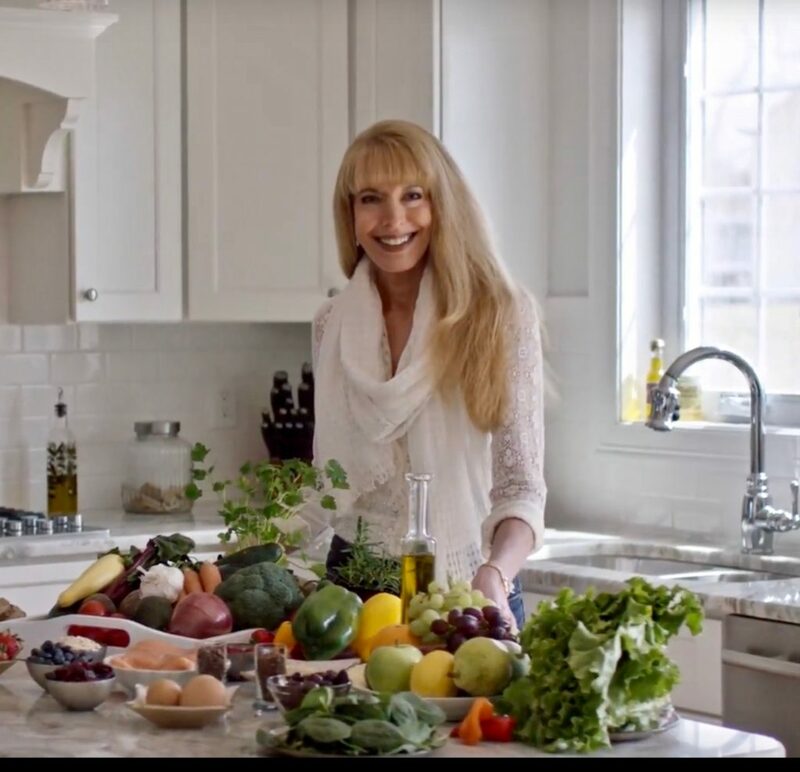 I wrote and hosted a local health and fitness television series for Comcast Cable “Peak Performance”, and have been featured on Public Broadcasting System health programs, news media channels, and consulted as a source for several articles on topics of health and nutrition, as well as being a former columnist for Connecticut Watchdog “Ct Eat Well”. I have contributed to cookbooks for both recipes and analysis, professionally provided food labeling analysis for international corporations, and have written and provided education material for Healthy Weight Commitment Foundation and Together Counts. Musicians and vocalists, like athletes, have special nutrition needs related to their activity levels, body mechanics, and schedules that may increase energy requirements. Having a background in arts, media, and music prior to becoming a registered dietitian and sports nutritionist, I understand the demands of musicians, their schedules, and the impact it can have on one’s energy level. It is my goal to help musicians obtain their optimal energy level of performance through balanced nutrition. Nutrition for Musician Video series with Ebook is now available under the “shop” tab! A Registered Dietitian Nutritionist is a trusted authority on a diet who is able to provide accurate, objective nutrition advice by separating the facts from the fads and “trendy diets”. In addition, Registered Dietitian Nutritionists can translate scientific research and findings into easy, understandable information. A Registered Dietitian Nutritionist is someone with at least five years of education and training from an accredited college or university in dietetics and nutrition. Training includes a variety of nutrition practices from treating medical illness and metabolic disorders in hospitals, to food service management, to culinary practices, to community service, research, and weight control. Registered dietitians specialize in particular areas of expertise, and also participate in continuing education classes to keep current in the latest developments in nutrition. Not all nutritionists are registered dietitians, but all registered dietitians are nutritionists! Kathy helped me lose 45 pounds and drop six pant sizes Kathy helped me lose 45 pounds and drop six pant sizes. This goes far beyond a short term diet. With Kathy’s help, I’ve developed a new and healthier relationship with food. Lon S.